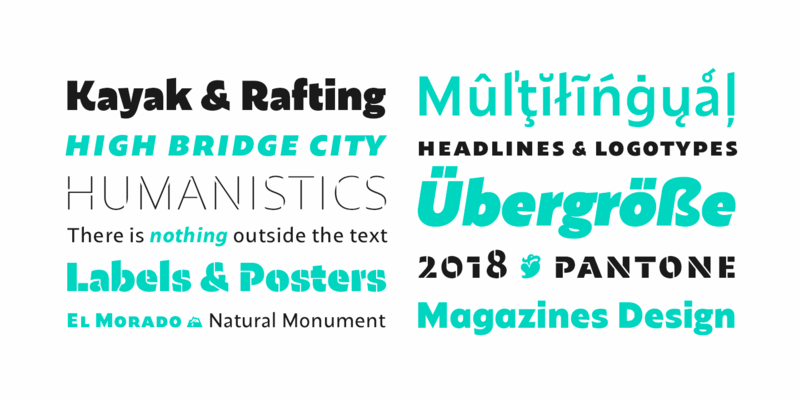 Fontface, the Fontspring Font Review, has published four new typefaces in their October 2018 issue. Trick or Treat yourself to some eye candy with these enchanting new fonts. Whether it’s solid or stencil, Maipo Sans by La Compañía Tipográfica De Chile works in both subtle and striking ways, depending on the weight. Its reverse contrast and angled ascenders stand out in bold headlines and become more functional in thinner weights. Introductory offer with a 80% discount until October 31, 2018. 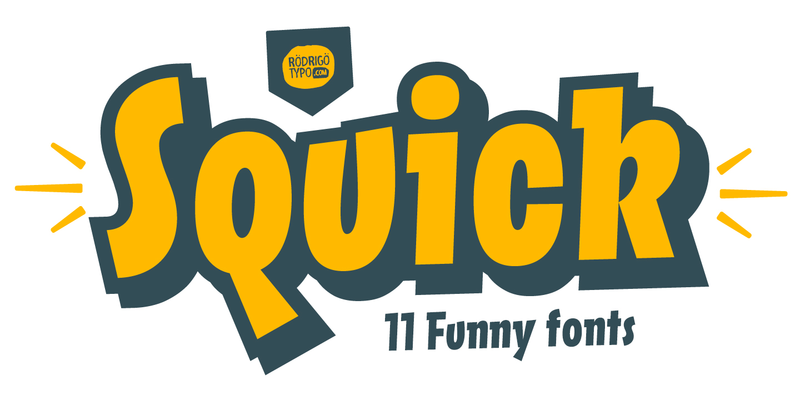 Rodrigo Typo has proven that not all comic fonts are created equal. Squick defies classification with its asymmetrical quirks and a balanced stylish edge. It comes complete with eight weights, hefty shadows, and dingbats for high impact. 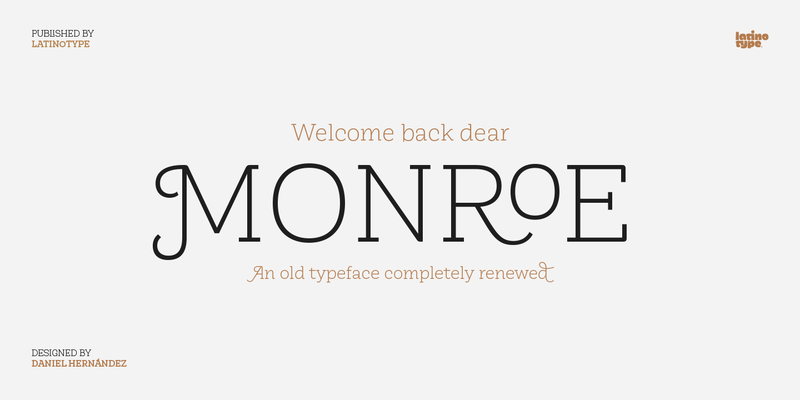 Between its alluring curves and bouncy curls, Monroe by Latinotype lives up to its blonde bombshell namesake. It’s definitely more than a pretty typeface, offering customizable swashes, ligatures and nesting characters. Introductory offer with a 75% discount until October 15, 2018. 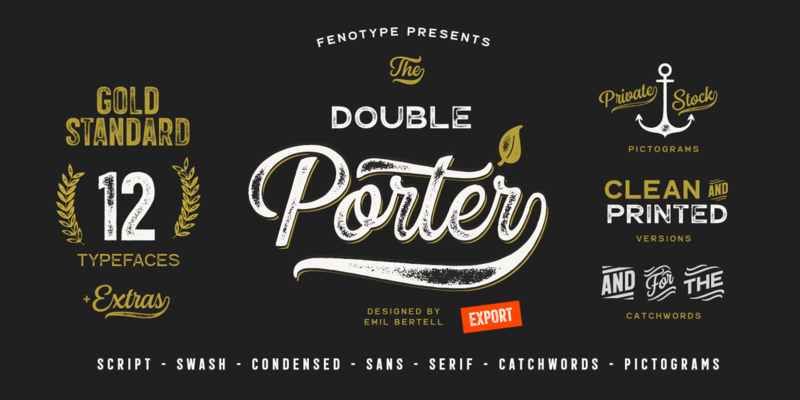 The Double Porter font family by Fenotype serves up a double shot of classic sans fonts, a script, catchwords, ornaments, and swashes. Crisp and clean or fresh off the press, Double Porter hits the spot. Introductory offer with a 70% discount until October 31, 2018. All above listed fonts come with a Worry-Free license and can be purchased as a desktop and web font. Fontspring are also offering licenses for ebooks and applications.